The Forest Stewardship Council (FSC), the world’s most trusted forest certification system, announced that Uniboard has won the 2018 FSC Leadership Award. Recognizing enduring commitments to forest conservation, the Awards highlight the people and companies whose work demonstrates uncommon excellence in the field of responsible forest management. Uniboard won the FSC Leadership Award for consistently offering FSC-certified engineered wood products in the North American building materials market. Since 2007, Uniboard has been at the forefront of FSC Chain of Custody certification because they believe that responsible wood management is the key to lessen the effects of climate change. Uniboard is a FSC Chain of Custody (CoC) certified company. All of its NU Green products are sold under the label ‘’FSC MIX’’, which is also an option for all other Uniboard products. Today all Uniboard products are compliant with the FSC Controlled Wood (CW) standard. 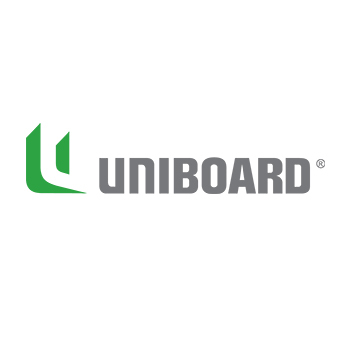 Uniboard is also the first company in Canada which has successfully migrated to the new FSC Controlled Wood Standard, continuing to give a strong message of sustainability in the North American market place.